Help support the comic on Patreon! Any and every little bit helps!! 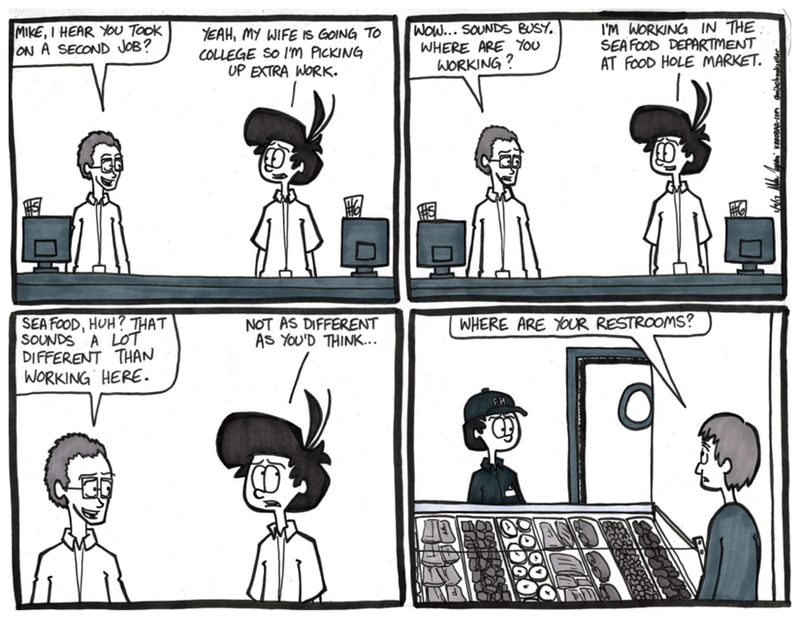 When you’re in a customer service job, no matter what you’re selling or helping customers with, you will have to answer the universal question of where we hide our restrooms. Yes, I have a second (or third if you count this comic) job. My wife is going through college and bills be piling up. So far I’ve been able to keep on top of regular comic updates and I hope I’ll be able to continue. Seeing your reactions, reading your emails and tweets, and all the facebook shares and likes are helping to keep me going. Thank you so much for all the support you all give me!